A little behind on my Asia posts, but this is one of the few remaining! After we said our goodbyes in Brunei, Pablo and I headed to Hong Kong for a few days. It seriously is one of the easiest cities to navigate through, as a tourist. You have the MTR (Skytrain), which is equally as convenient as Vancouver's.. and well food can be found everywhere. Of course we visited the shopping streets, the infamous night markets, and bargained like there's no tomorrow. Definitely a city I'd revisit. We stayed in Tsim Sha Tsui, which is a pretty busy area, and walkable to lots of the local malls and food joints. Have you guys been to Hong Kong? What's your favourite thing to do here? You've been to so many places, that must be such a great learning experience. I've only been to a couple places but even then I felt like I gained a new perspective. And as usual, love the pictures! Such a talented photographer you are. I LOVE THE SHOPPING HERE ! Haha. I love Hong Kong, it's my favourite city! I've been there 3 times, and I hope to do an exchange to HKU in a couple of years. Roaming the streets of Mong Kok at night whilst sipping on a milk tea w/pearls! Buying cheap and cute purses and shoes at little plazas in Mong Kok and Causeway Bay. Going for Afternoon Tea at Cova in Central. I LOVE HK!!! Vancouver's public transportation definitely is NOT up to par with the ones in Asia though. I would definitely give up my car if I lived in Asia... not so much here. AS touristy as it is, I make a night out to watch the laser show by the harbour every time I visit. OH and can't forget the cheap meals at Cafe De Coral!!! It's my absolute FAVE! This makes me reminisce about my trip to hk this past summer. I miss it so much! You must have had such a great time there, these are gorgeous shots! I went when I was 10, and my favourite thing there was probably shopping. It looks like there's a lot more smog there now, but a big change is pretty expected in 16 years. I remember liking "girl street" but I wasn't allowed to talk because then they would know I wasn't from around there, so we wouldn't get the best deals :P My mom did all the bargaining. I have never been, but I love your pictures. It looks like you are having an incredible time. Shiok right?? Can't wait to go back. Yeah most def! It's super convenient and easy to take transit there. Don't ever need to drive! i love hk!! .. definitely one of the most amazing cities ever!! 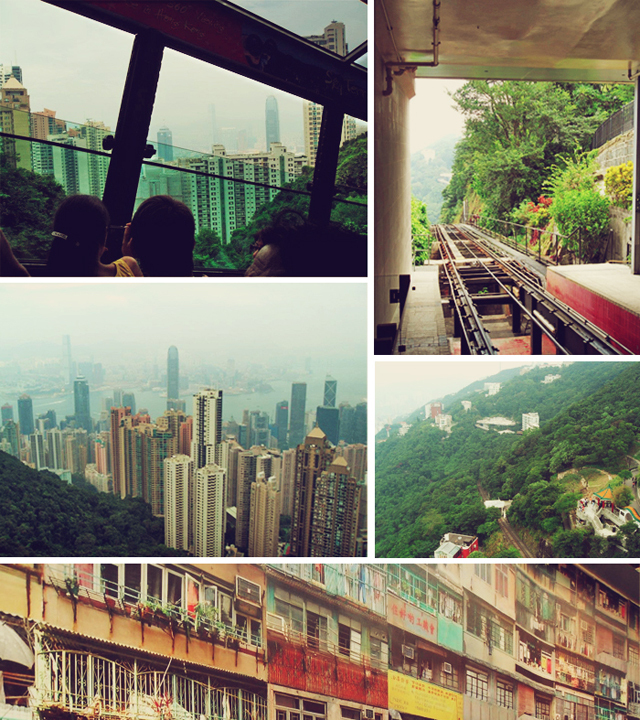 beautiful pictures darling, Hong Kong is definitely one of the places I would love to visit soon. Can't wait to see more of the pictures you have. Tessa, I'm sure you got a million nominations already but your blog is just too good not to get one! I've nominated you for the Liebster Blog Award.. I hope you accept! Rules are in my blog. I've been living in HK for more than 10 years now. I love it. I love that you love it. Your pictures are beautiful! Hong Kong is such a great place to visit. What I find more interesting is the contrast between it's old and modern structures. It is just amazing.